There is something magical about sunrise and sunset, isn’t it? Nature has blessed us with beauty in so much abundance that we often take it for granted. 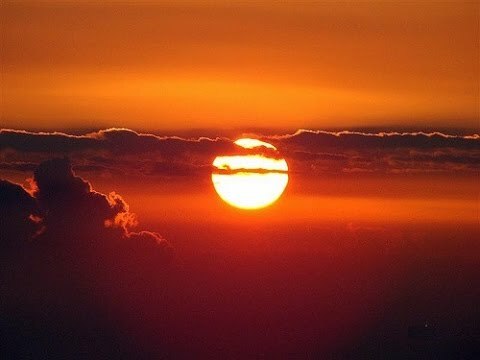 Have you ever wondered why most of the destinations always have a sunset or sunrise point? Well, because there was a time when watching the sun set and rise used to be one of the favourite travel experiences. Today, we are so attracted towards the superficial things in life that we have forgotten about the nature’s miraculous blessings. It’s not just about standing on the terrace and watching the sun come up and go down. Watching sunrise and sunset is an experience, and we have a list of iconic spots that will take you on a virtual journey of dreams and desires. Darjeeling is famous for its visual delights- its lush green tea gardens and breathtaking vistas. But what’s even more amazing is its sunrise from the top of the Tiger Hill. Tiger Hill is basically a mountain top that offers picturesque view of the rising sun. We assure you, the views from here are spellbinding and worth a watch. Kanyakumari lies at the southernmost end of the country. 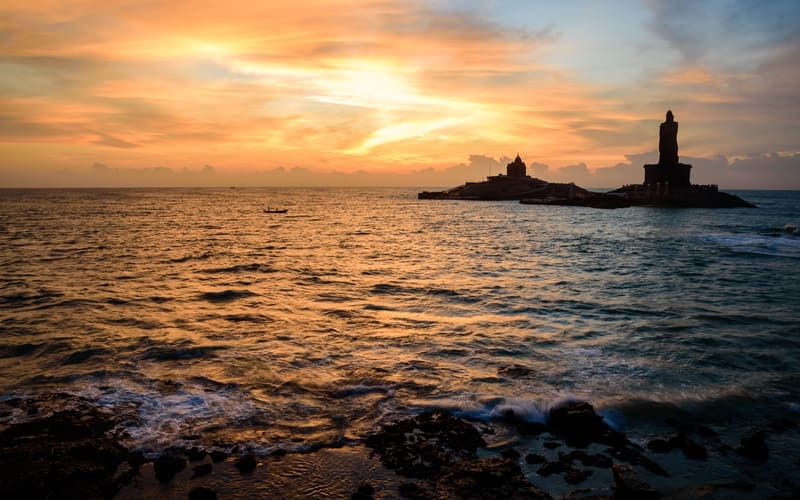 Surrounded by three magnificent water bodies, the Arabian Sea, the Indian Ocean and the Bay of Bengal, the sunset point at Kanyakumari offers spectacular views that will take you away on a nirvana tour. The experience of sunrise and sunset in Kanyakumari is different from watching it elsewhere in India. The changing hues of the sky and the reflection of it on the water; everything is so mesmerizing that you feel an urge to seize the moment. 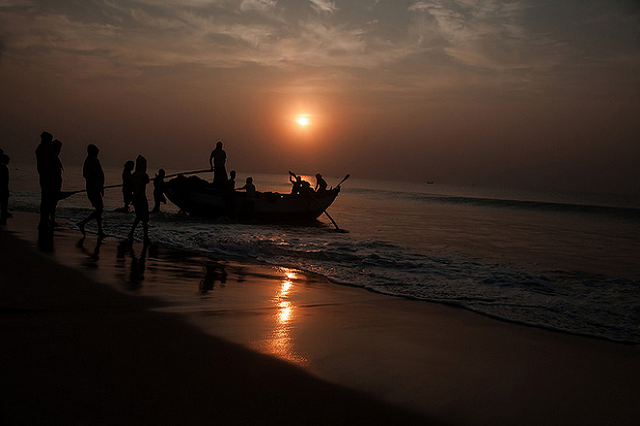 Pristine beaches framed with Palm Trees, Puri in Odisha makes for one of the best places to capture the rising sun. The seamless stretches of the velvety sand beaches in perfect sync with the crimson hues of the sunlight, offers breathtaking views. The beauty of the sunrise from here cannot be described in words. 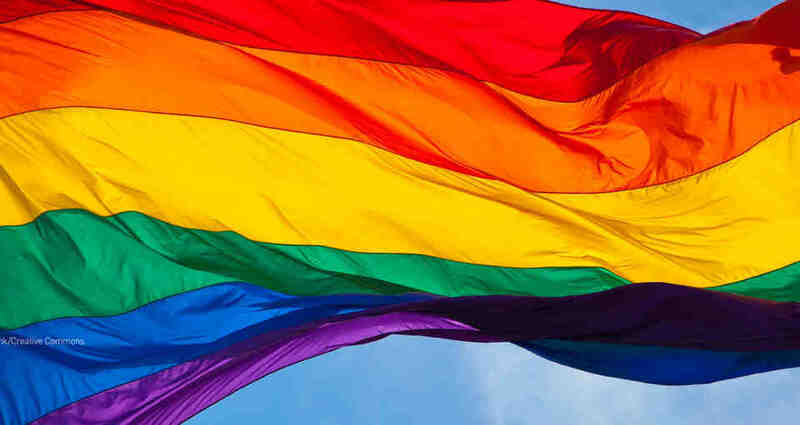 Let us paint a beautiful picture for you. 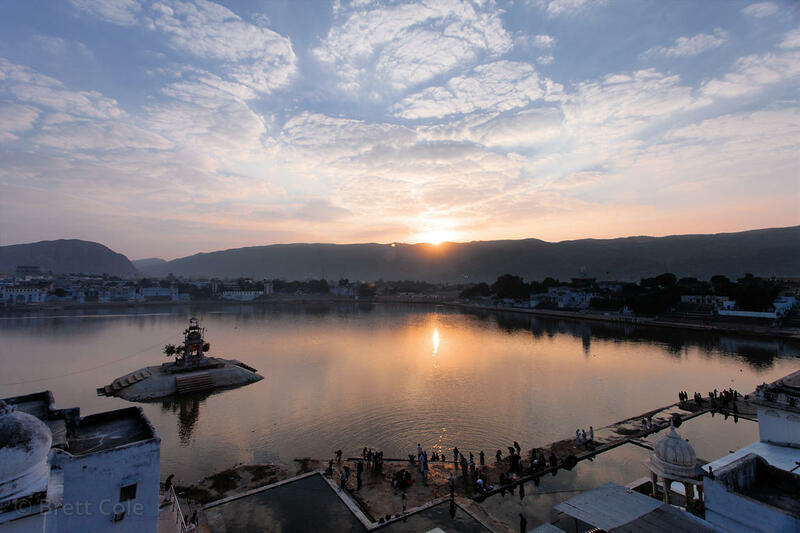 Imagine witnessing the sunrise in the backdrop of the Aravalli Range and idyllic Pushkar Lake. Wonderful, isn’t it? You can also have this experience on a hot air balloon, yes that’s one thing you should do if you happen to be in Pushkar. Imagine the golden rays of Sun glistening over the pearly white Taj Mahal. Well, imagining it made you want to be there, isn’t it? What better than watching the sky light up in a colourful cornucopia whilst illuminating one of the Seven Wonders of the World in a variety of shades. 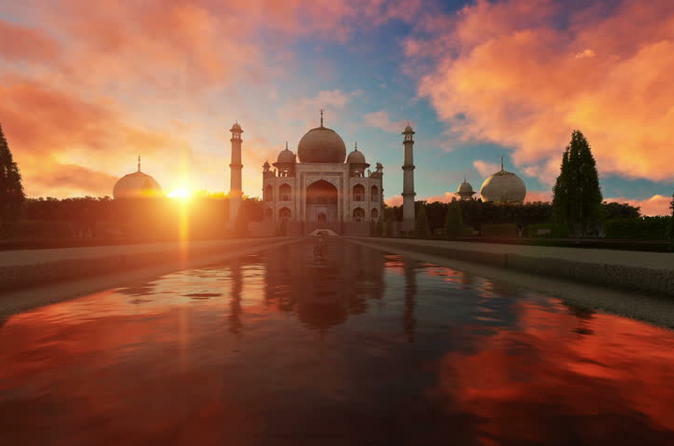 The beauty of Taj rises to an indescribable level during a sunrise and sunset. With an enigmatic charm that has been attracting tourists from around the world, Varanasi is the place where people come in search of Nirvana. 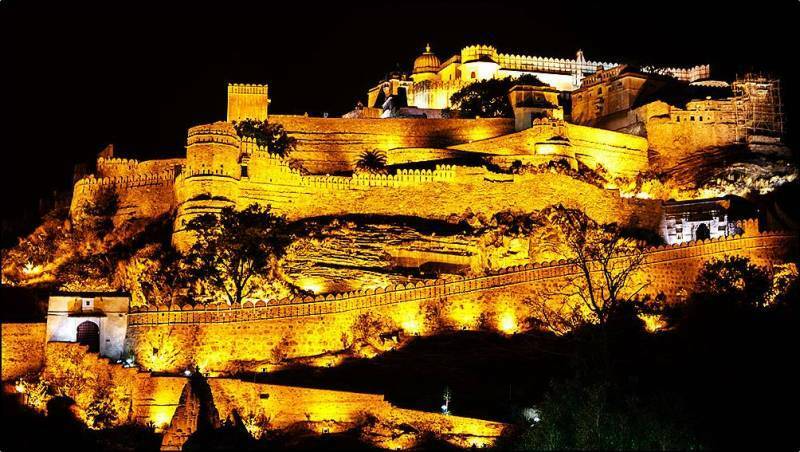 This ancient city of India is dotted with amazing vantage points that offers cinematic views of the rising and the setting sun. 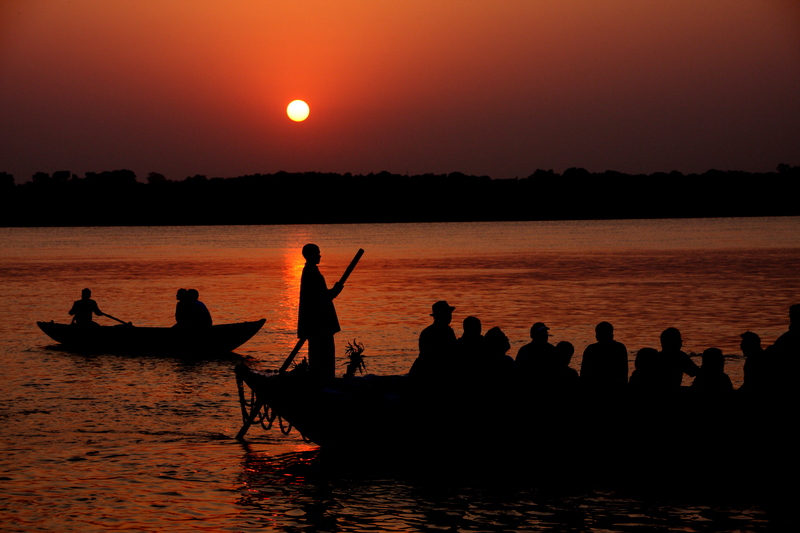 Imagine watching the sun rise and go down into the depths of the Holy Ganges, mesmerizing isn’t it? 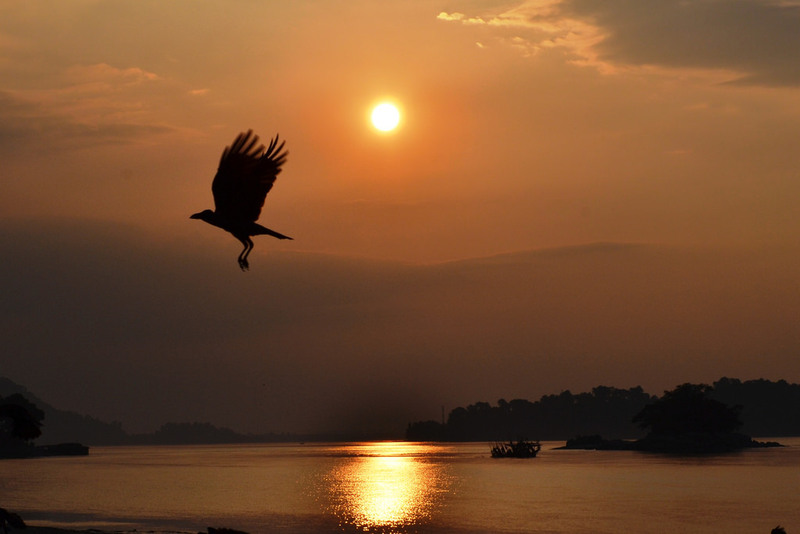 The mighty river of Brahmaputra offers beautiful red sunset, calming the tired souls. 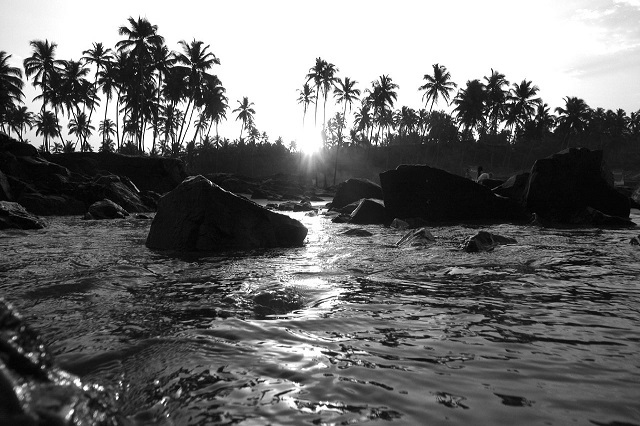 Watching the sun go down beside this beautiful river is a magical sight. This vast and seamless waterbody somehow looks more like a sea than a mere river. It is undoubtedly a reviving and blissful experience to watch the sun slowly immerse itself into the river while painting the sky in a plethora of colours. 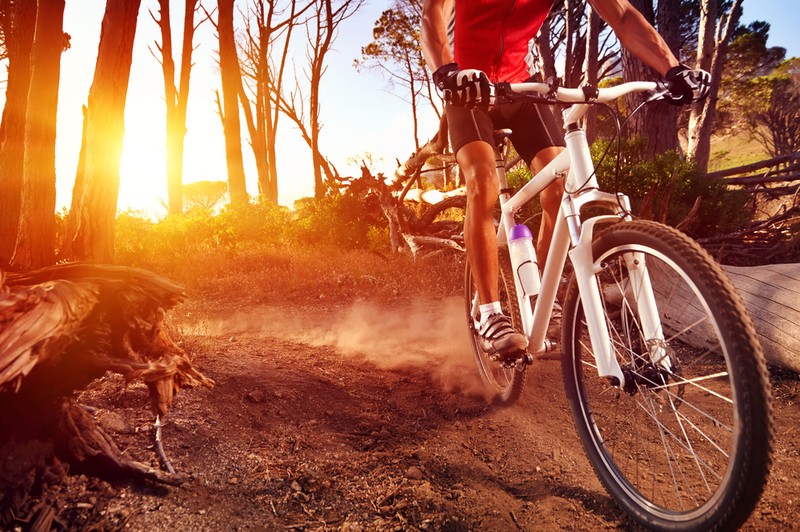 Well, Goa is certainly much more than just beaches. Dramatic red cliffs on its shore with hemispherical view of the surroundings; tranquil Vagator Beach is where you need to be if you enjoy the comforting view of the sunset. Although it might not be that quiet (since it is the party capital of India), but nevertheless the experience would be beautiful. Watching the sun rise and set is a beauty in itself. Seize this beautiful gift of nature in your memory forever.